First and second degrees in Computer Science at the Technion. PhD in Computer Science at the Libre de Bruxelles University in Belgium. Participated in the Technion Excellence Program: October 1995 – June 1997. In the framework of the Program Mark took advanced courses in computer science as well as courses given by other Technion faculties. He started his second degree while he was still doing his first degree, and today he is studying for his third degree in computer science. 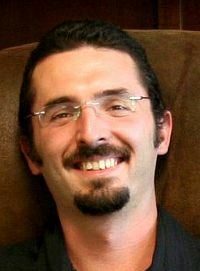 His research, under the direction of Prof. Yoram Baram from the Faculty of Computer Science, was in: "Differential Geometric Approach to learning", with the aim of exploring differential geometric structures of learning systems, such as neural networks, in order to produce better learning algorithms. The research results were presented at NIPS '99 and published as a scientific article: "Zlochin M. and Baram Y.: Manifold Stochastic Dynamics for Bayesian learning".